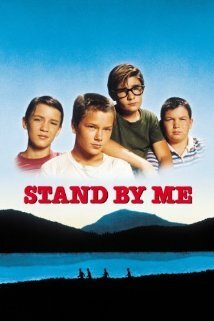 Rob Reiner’s Stand By Me, an adaptation of Stephen King’s novella The Body, is a favorite of many, but it took some time for me to warm up to to this coming-of-age tale. Set in the 1950s, the film early on feels like it’s trying a bit too hard to provide that bubbly feeling of nostalgia. Songs such as “Rockin’ Robin” play in the background as our protagonists, a group of 12-13 year old boys, play cards, smoke cigarettes and mess around with guns. They represent a time since past, and Reiner does everything in his power to make us feel sentimental about this era. It’s all a bit much at first. It was the kids that wound up winning me over on the film. 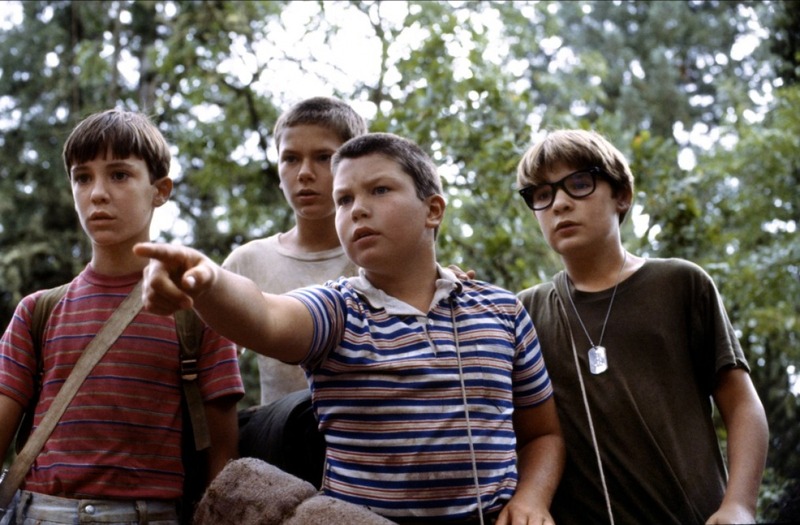 Gordie Lachance (Wil Wheaton), Chris Chambers (River Phoenix), Teddy Duchamp (Corey Feldman) and Vern Tressio (Jerry O’Connell) are a group of good friends who embark on a long adventure through the woods in hopes of finding the dead body of an older classmate. They believe that by finding this body they will become local heroes and maybe even get their names in the paper. It’s very much a coming-of-age journey, and the kids do a lot of bonding in the face of unforeseen circumstances. They have a close encounter with an oncoming train, narrowly escape an “attack dog” at a private junkyard, and suffer the wrath of unwanted leeches together. In truth, it’s a fairly unsubstantial trek, but the film does so well in tapping into the mindset of a 12-13 year old. I’m sure we have all had random adventures like this as a kid, and there were moments that unexpectedly made us grow up a bit. 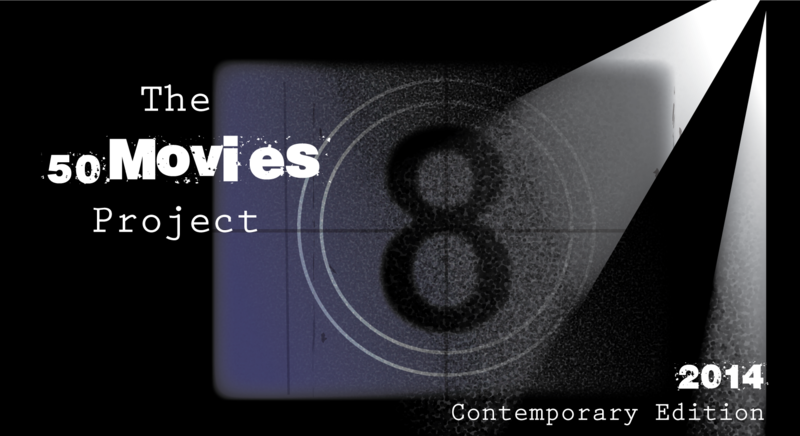 That’s all on display in this film, and it will undoubtedly bring back your own personal memories. The wistful narration by an adult Gordie (Richard Dreyfuss) provides further insight into these characters, sharing back stories that show the aches and pains of growing up. I found myself relating to the young Gordie the most, as he was a quiet, uncomfortable kid with a penchant for writing short stories, something I used to do quite often back then. There is a great scene about halfway through where the boys are sitting around a campfire, and they ask Gordie to tell them one of his stories. He proceeds to share his latest, a tale about a pie-eating contest that erupts into a “Barf-O-Rama” — all of which is acted out in the film. It’s so gross and juvenile that it’s utterly perfect. 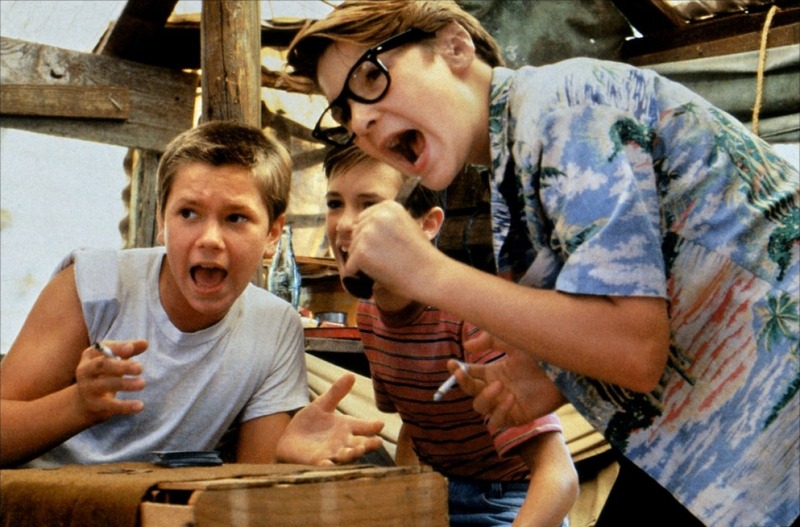 Stand By Me is at its best during moments like that, and thankfully the journey is full of them. Aside from a silly subplot involving punk teenagers (led by a greased-up Kiefer Sutherland), the film does a wonderful job of just focusing on the relationships between this group of friends. That summer is something that none of them will ever forget, even as they may drift apart over the years. I love the quote at the end of your post, as this probably the one line I took away when I first watched the film. You’re right to focus on particular moments that make the film truly come alive, when it just lets the kids be kids and bond over a campfire. I haven’t seen this in a very long time, at least 10+ years so I’d be hard pressed to say much else. However, from my memory of it, I can say I will probably give it about the same rating, if not a little less. It really was a great line to end the film, wasn’t it? So true, too. Thanks so much for all of the thoughtful comments, Niels! I really appreciate them. Hi Eric! Glad you got around to this Summer movie classic. I saw this years ago and I remember loving it. Have you seen Kings of Summer from last year? I think it has some similarities and perhaps there’s a deliberate homage to this one. Yep, I really enjoyed The Kings of Summer, too. Now that I think about it, there did seem to be some definite parallels with that and Stand By Me. It seems to be quite the influential film — I even noticed some similarities with Boyz n the Hood, which I saw right before watching this. Stephen King doesn’t often translate well into film. Thankfully. Rob Reiner leaned towards a “Moldy Oldies” late 1950s, early 1960s soundtrack that aided in moving the tale along.In my personal Top Three King adaptations, ‘Stand By Me’ sits solidly between Cronenberg’s ‘The Dead Zone’ and ‘The Shawshank Redemption’. Nice work on layout in your critique, Eric! Thanks so much, Jack! I haven’t seen The Dead Zone — will have to check that out at some point. I didn’t even realize this was a Stephen King adaptation when I added it to my project. Quite an interesting surprise there. Agreed about the depiction of friendship. Once the kids got into the woods, everything felt natural. Reminded me of adventures I had as a kid. Glad you liked it! One of my favourites. Can’t believe it took me so long to see it! My reaction to this flick was almost identical. I took to bit to get interested, but eventually the kids (especially Phoenix) hooked me. Yeah, Phoenix was a revelation. I really want to see more of his work… It’s a shame there isn’t much of it.